News & Magazine Production 2 – Finished second feature. For my second feature for our online magazine, I interviewed Yazmin Hilder, 20 of Loswithial, Cornwall. Yazmin told me her story of suffering with seizures when she was 17. The seizures made Yazmin feel very depressed, and soon she was going out less, and lost a lot of her confidence. I felt Yazmin’s story was perfect for the feature as her story was pretty sad to hear; having a serious medical condition, and then getting depression from the effects. I wanted the feature to be deeply involved with Yazmin’s story, and for the reader to get caught up in her story so I took a lot of her quotes from the recorded interview and made the story as interesting as possible.Personally for me when I am reading a feature about someone, I like the quotes to be fairly long, so I know what they said, and not solely from the writers words. After writing the feature, I asked Yazmin if she has a picture of her cat and herself so that my story had some visual depth – something I also feel strongly about when reading. A good picture will being a feature up a level. 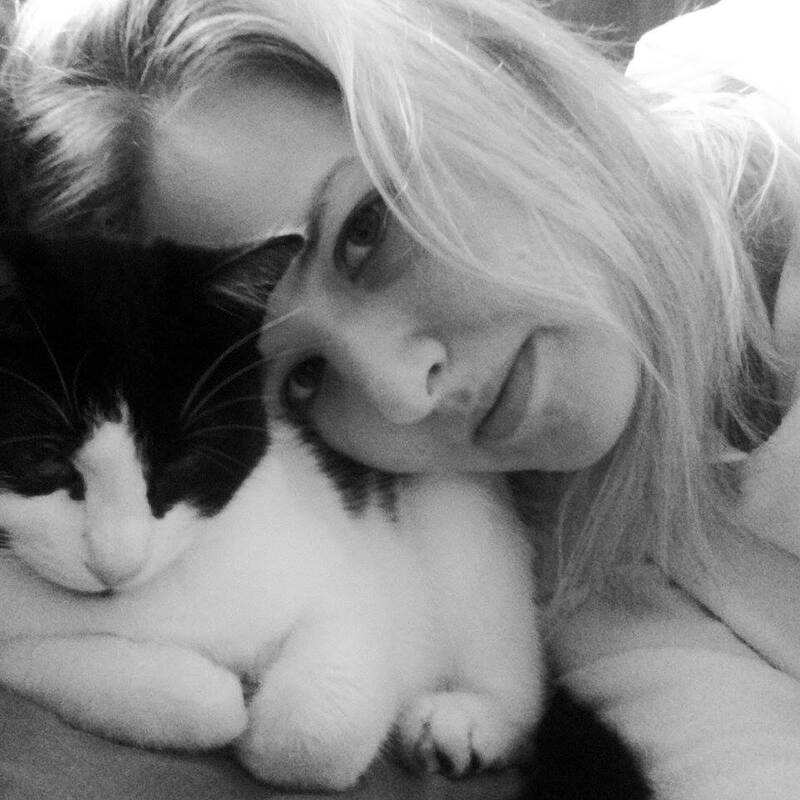 Yazmin sent me a black and white picture of herself and the cat, which I think is a great, loving photo for the feature. Next, I will send the feature onto Emily, another group member for her to proof read and give me some feedback, and I will do the same for her and some of her work.